Advantys’ WorkflowGen Web Site Redesigned by 8 Bis Branding Wins an Honorable Mention at the Awwwards. Montreal, Canada - (July 23, 2014) ADVANTYS, a leading Business Process Management software vendor and 8 BIS BRANDING a design agency based in Montreal and Paris, today announced that Advantys’ WorkflowGen web site redesigned by 8 BIS received an Honorable Mention from the Awwwards Jury. The Awwwards Jury is a gathering of some of the world’s top designers, bloggers and Internet agencies, recognizing the best digital experiences that are useful, innovative, intuitive and beautiful. “We are really proud to have received this Mention as WorkflowGen probably becomes the first Business Process Management software to be selected by this world renowned organization,” said Alain Bezançon, President of ADVANTYS. “After extensive researches to find the right communication agency we decided to work with 8 BIS who did an amazing job at materializing our vision by successfully integrating all the components of the project (branding, design, technology)”. Released in 2003, WorkflowGen is an Enterprise Business Process Management software used by 500 clients in 70 countries and 1,000,000 end-users worldwide. 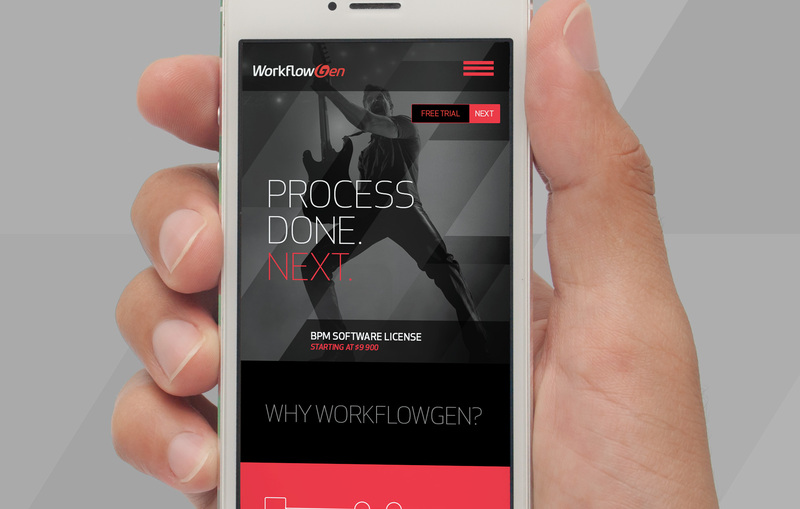 Organizations of all sizes use WorkflowGen to quickly and easily design, deploy, execute, monitor and analyze their automated business processes while benefiting from an intuitive workflow, the best cost / value ratio and a maximum scalability. 8 BIS BRANDING is an innovative brand, design and communication agency that creates consistent dialogues and emotional experiences between brands and customers across multiple mediums. Founded in 2007, it is managed by founder and creative director Jean-Maxime Brais, who has over 15 years experience in creative design.